This post contain affiliate links, earning me a small commission at no additional charge to you. 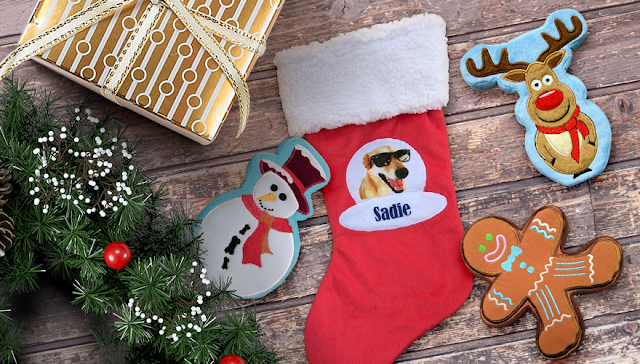 PrideBites customized products make great gifts! Wordless Wednesday. Visit them for all the blogs participating! We think cake is the answer! Happy Birthday, Paisley! Cake is always the answer, right? Ooooh! Happy bithday Paisley!!!! Hooch sends lots of bday kisses and wags your way! Hope your cousin Paisley had a wonderful birthday! Wowzers! Already 3! It seems like she just came home as a puppy yesterday! Happy Birthday, weather girl! Can you believe it? She is still a lot of puppy but she is best friends with our granddaughter. Happy 3rd bday Paisley...around here we celebrate the entire month of our bday. I'm sure Paisley won't mind celebrating a day late. In our house, when the four siblings were growing up, ghostwriter and Dad both had medical jobs and worked weekends, holidays, and all kinds of odd shifts. We were all quite happy to celebrate holidays and birthdays not on the correct days. At least we did it eventually. Happy birthday Paisley a day late! She is an easy going girl so we are sure she will forgive us. Besides...cake! Thanks, Doods! Her sister picked her out some of those spiky balls that y'all used to play with! oh NOES! We slept through it TOO! Happy Belated BIRFDAY - and loads of headbonks! Thanks! I'm sure she will get lots of head bonks and hugs. Happy Belated Birthday to Paisley! She sure is a cutie. It's a great day to celebrate! Happy birthday, Mabel. She is very forgiving so I'm sure we will be okay. Those all sound wonderpurr! Thanks so much. Thank you! My family celebrated with me but Bentley and Pierre woe me a cake and presents. BOL! Thank you, Robin. She is a beautiful girl and as sweet as she can be. 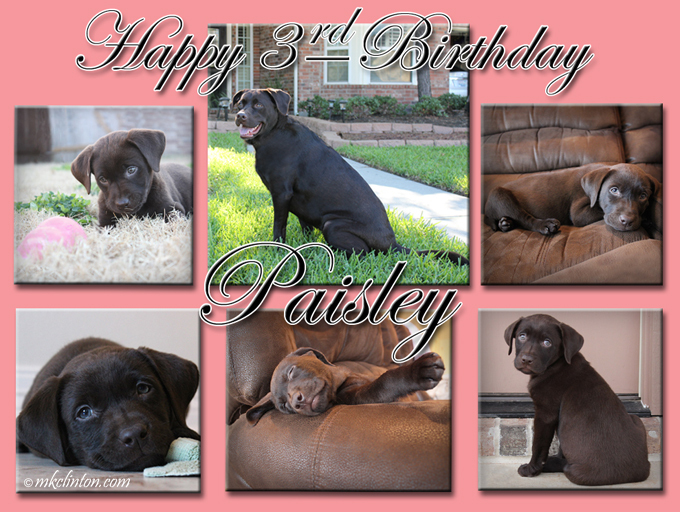 A big Happy Birthday to Paisley!!! Happy Birthday Paisley! I hope the boys got you a super delicious birthday cake. Thanks, Cathy. She will be getting lots of goodies for her birthday.